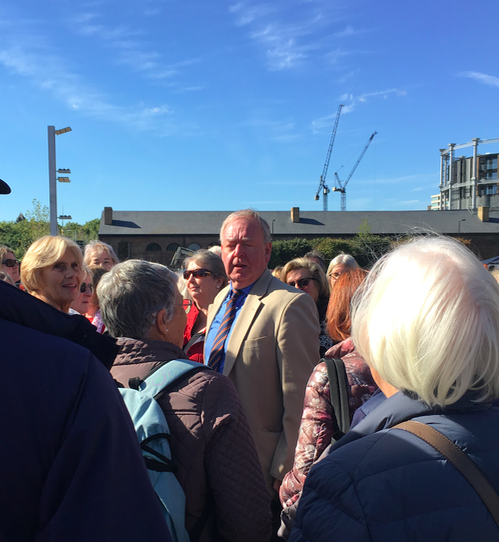 Fifty members left Norden Farm at 9.30am to meet Andrew Davies at St Pancras Station. 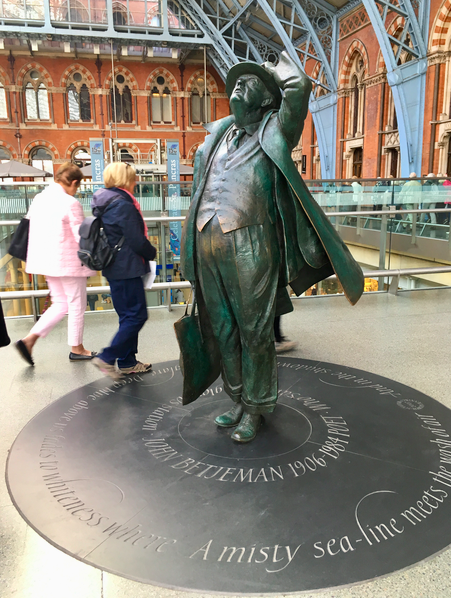 He delivered a very interesting talk and trip around St Pancras and Kings Cross Stations where we learned about the architecture, history and the wonderful statues, located around both stations. We even saw Platform 93/4, where Harry Potter and his peers catch the Hogwarts Express! 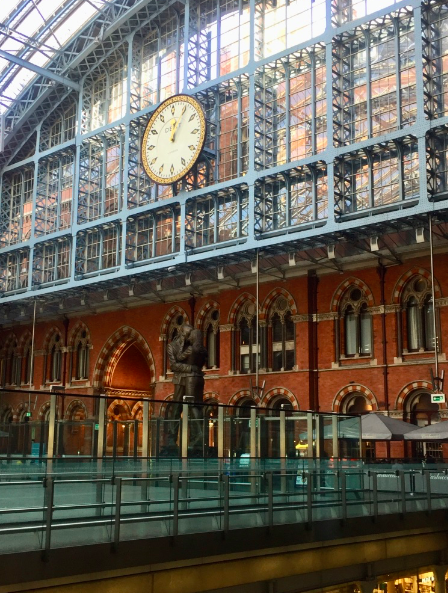 We looked at the outside of St Pancras Station and admired the 4 million apartments above. In the afternoon we visited the renovated and beautiful Regents Canal area. 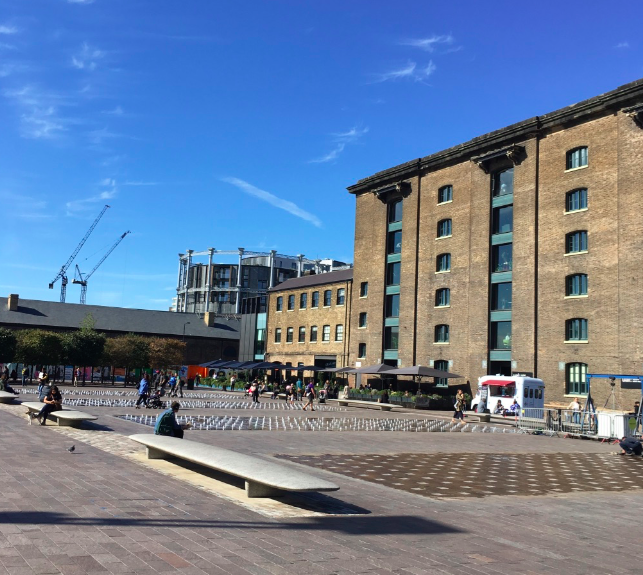 We saw the new Arts Colleges in Coal Drops yard, as well as the iconic Gasholders. Andrew directed us to the German Gymnasium, a building originally built and paid for by the German community in London, very close to St Pancras Station and now a spacious and busy restaurant. We enjoyed a cup of tea served by staff in German costumes before we began our journey home.